The flats are rested here at Boca Paila, so the fish are happy, ready and waiting for you. 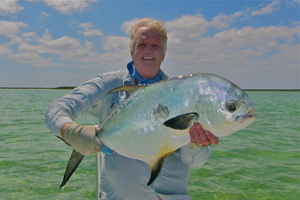 We have seen plenty of permit poking around for crabs, tons of tarpon rolling on baitfish and the bonefish are everywhere as usual. We are excited to see all of our regular clients back at the lodge this season, and we look forward to meeting all of you newcomers. We have the lodge in great shape, our skiffs are tuned up and the guides are champing at the bit to get back on the water to help you find fish. Contact us today to schedule your fishing adventure here on the Yucatan.